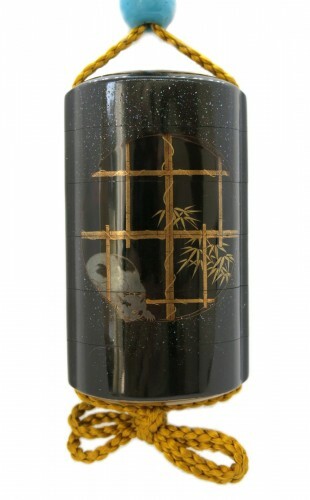 Japanese lacquer incense box (urushi) on a nashiji lacquer ground , with gold lacquer môns and arrows (maki-e). 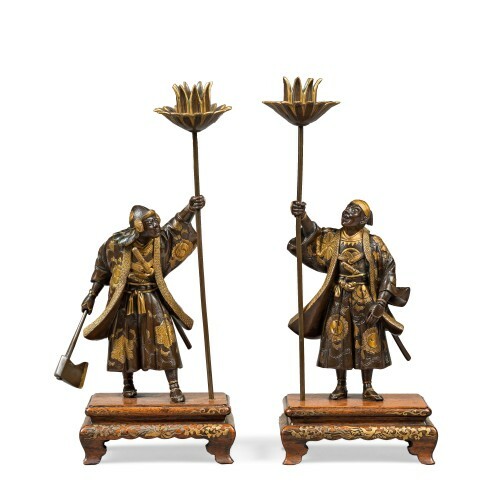 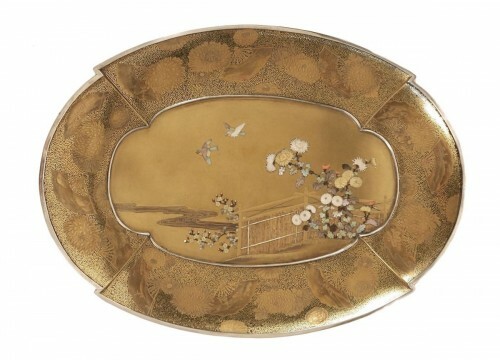 Japan – EDO Era 18th century. 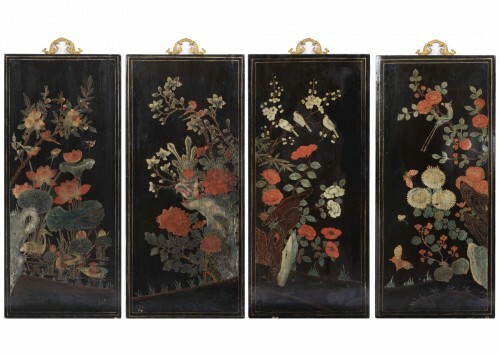 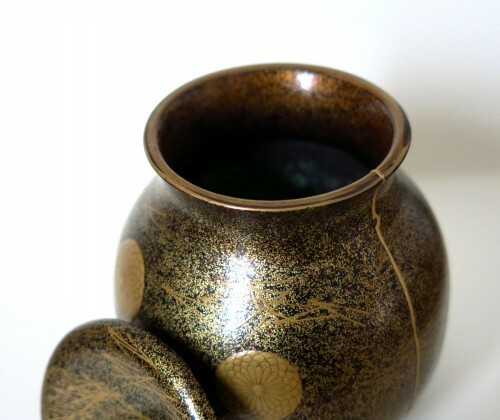 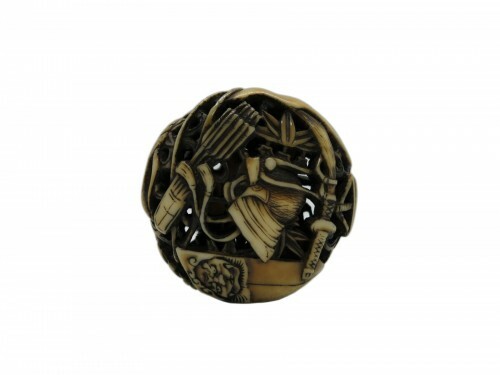 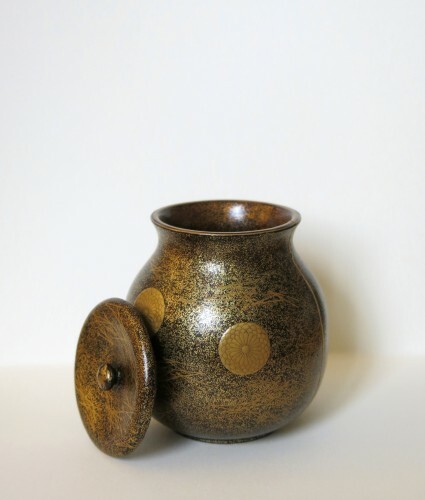 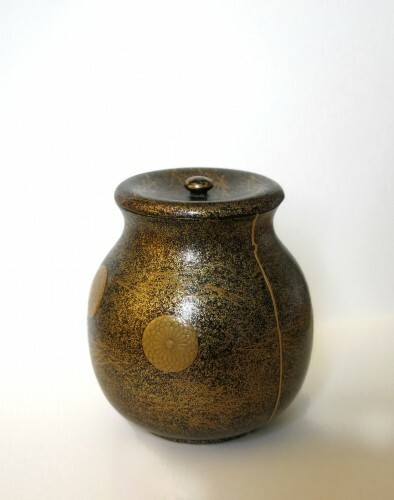 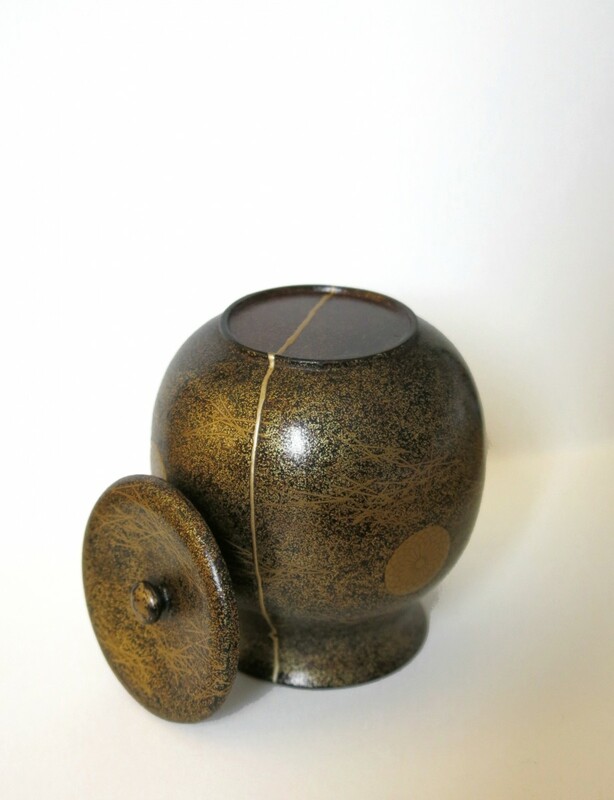 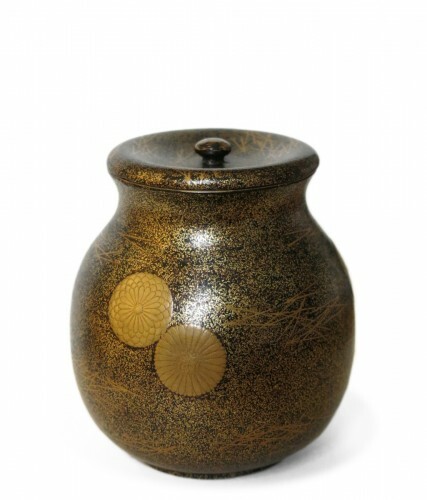 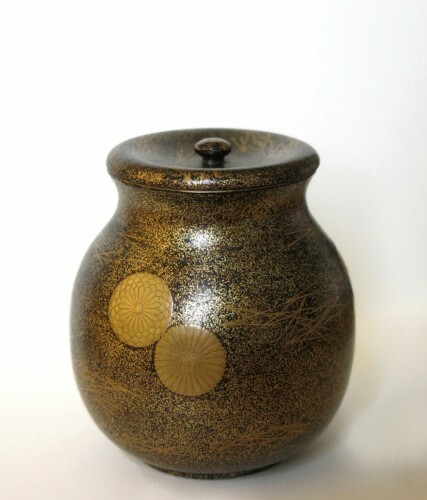 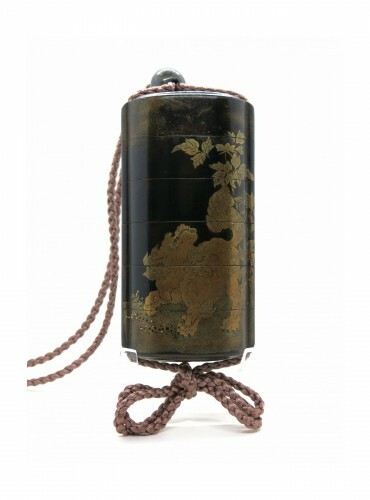 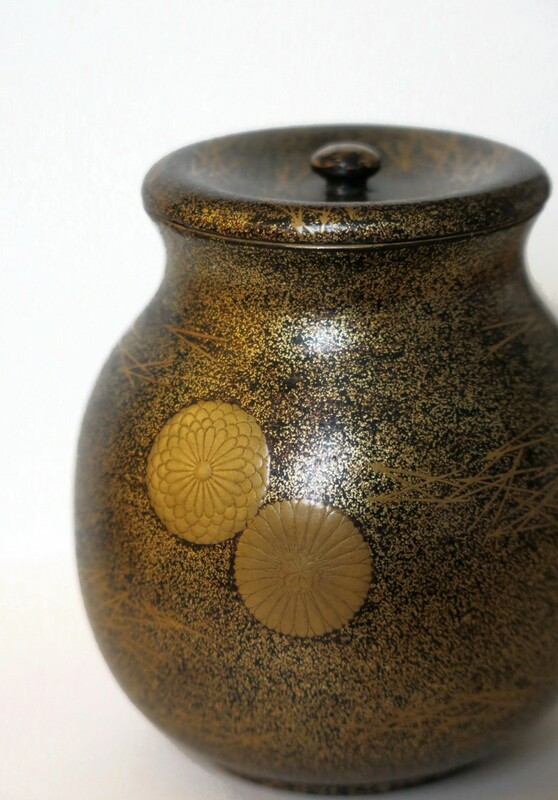 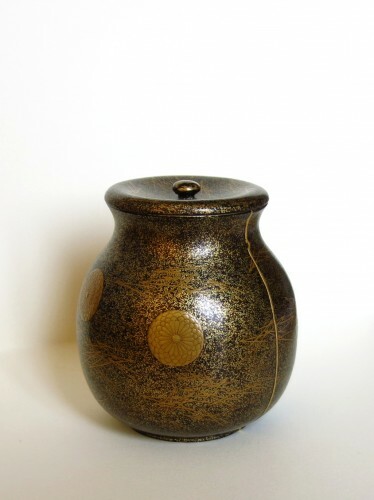 Kintsugi, Japanese technique of restoration from the XVth century, of Urushi lacquer and gold, taking into account the past of the object and emphasizing its history in the respect of the original work.